Oak + Fort is a men’s and women’s fashion retailer based out of Vancouver, B.C. Since their inception in 2010, Oak + Fort has curated collections that reflect their design philosophies. A belief that fashion should be uncomplicated and thoughtfully designed. They are not distracted or fettered by trends and will continue to provide attainable luxury to like-minded individuals. 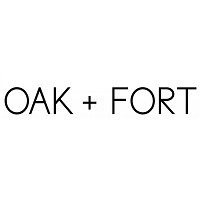 Visit Oak + Fort at Richmond's premier shopping destination, CF Richmond Centre.